A legislative journey to deregulate cosmetology can begin with just ONE small step (or bill), then followed by others. Alarmingly our State Lawmakers in Saint Paul have now taken that first step! Bills before both the House and Senate STATE GOVERNMENT FINANCE COMMITTEES would effectively gut the recently enacted licensing law for eyelash extension services. Hearings to advance this legislation will occur next week (March 26-29)! SHOULD THIS LEGISLATION BECOME LAW, IT WILL ONLY EMBOLDEN THOSE WHO WISH TO FURTHER DE-REGULATE OUR INDUSTRY WITH MORE BILLS ERODING OUR INDUSTRY! HOUSE FILE 3850 & SENATE FILE 3663 would repeal the license requirement for BOTH the salon and salon manager at locations that only provide eyelash extensions services.It does not repeal the technician licensing requirement - BUT THAT COULD BE THE NEXT STEP! 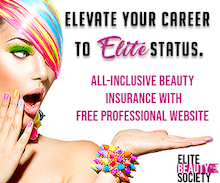 Without salon licensure these locations would not be subject to ANY inspections and therefore NO REGULATION. But you still would be! This creates an uneven playing field within our industry. Without any inspections there would be no assurance these UNLICENSED LOCATIONS would abide by health, safety and infection control practices which will endanger clients. Without any inspections, there's no guarantee their technicians will be licensed. Without any inspections it encourages these locations to offer other regulated cosmetology services without licensure, WHICH LEADS TO MORE DE-REGULATION! Please CALL and leave word with the following lawmakers TODAY and VOICE your opposition to this bill. This is the most effective way to communicate in the midst of the Legislative Session (as opposed to email) THIS COMPLEMENTS SSPA EFFORTS GREATLY! “PLEASE REJECT THE PROPOSED EYELASH EXTENSION BILL NOW BEFORE THE STATE GOVERNMENT FINANCE COMMITTEE THAT WANTS TO REPEAL SALON LICENSURE FOUND IN HF 3850 AND SF 3663. In closing, please contact your individual legislators as well if they are not reflected in the targeted committee list provided above. WHO REPRESENTS ME? Find your legislators here. Thank you in advance for your immediate attention to this critical matter. Please contact us should you have any questions at [email protected] or 952.925.9731.